The Book of Mormon is a musical comedy about two young Mormon missionaries who travel to Africa to preach the Mormon religion. First staged in 2011, the play satirizes various Mormon beliefs and practices. The script, lyrics, and music were written by Trey Parker, Robert Lopez, and Matt Stone. Parker and Stone were best known for creating the animated comedy South Park; Lopez had co-written the music for the musical Avenue Q. 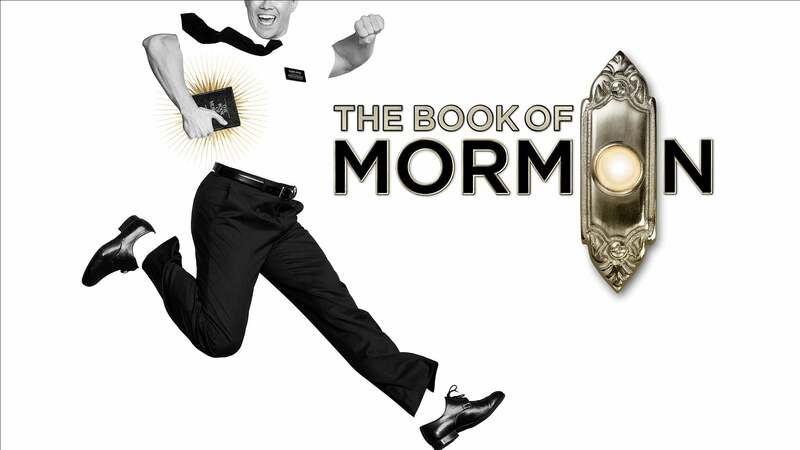 The Book of Mormon was conceived by Trey Parker, Matt Stone and Robert Lopez. Parker and Stone grew up in Colorado, and were familiar with The Church of Jesus Christ of Latter-day Saints (LDS Church) and its members. They became friends at the University of Colorado Boulder and collaborated on a musical film, Cannibal! The Musical (1993), their first experience with movie musicals. In 1997, they created the TV series South Park for Comedy Central and the 1999 musical film South Park: Bigger, Longer & Uncut. The two had first thought of a fictionalized Joseph Smith, religious leader and founder of the Latter Day Saint movement, while working on an aborted Fox series about historical characters. Their 1997 film, Orgazmo, and a 2003 episode of South Park, "All About Mormons", both gave comic treatment to Mormonism. Smith was also included as one of South Park's "Super Best Friends", a Justice League parody team of religious figures like Jesus and Buddha. After February 2, 2015, Broadway actor Nic Rouleau, cast in the role Elder Kevin Price replaced Billy Harrigan Tighe, and Brian Sears, who also starred on Broadway (as an ensemble member), replaced A.J. Holmes as Elder Cunningham. Tighe and Holmes then joined the cast of the 1st National Tour, filling the void that was there when Creel and O'Neill left the tour to play the leads on Broadway. On January 25, 2016 Rouleau announced via Twitter that January 30, 2016 will be his last performance as Elder Price in the West End. On February 1, 2016, longtime Broadway stand-by K.J. Hippensteel officially took over the role as Elder Price in the West End cast. On August 6, 2016 Stephen Ashfield had his last performance as Elder McKinley, as he was transferring over to the Broadway Production. On August 9, 2016 Steven Webb took over for Ashfield as Elder McKinley. On January 14, 2017 Brian Sears performed his last performance in the West End. Sears left London to join the Broadway company on February 20th. Sears was replaced by longtime Second National Tour Elder Cunningham, Cody Jamison Strand. Strand's first performance was on January 30th, 2017. Book of Mormon opened in Australia at Melbourne's Princess Theatre on January 18, 2017. Auditions were held in January 2016 in Sydney and Melbourne; rehearsals began in November. In November 2016, it was announced that Ryan Bondy and A.J. Holmes would reprise their roles as Elder Price and Elder Cunningham respectively. Zahra Newman will play Nabulungi, Bert Labonté will play Mafala, and Rowan Witt will play Elder McKinley. The first non-English version of the musical opened at the Chinateatern in Stockholm, Sweden, in January 2017. The musical is scheduled to play in Denmark at Copenhagen's Det Ny Teater during the 2017/18 season. A Norwegian production is running at Det Norske Teateret in Oslo.